Mountain Lake District, a district of the Greater Alabama Council serves Boy Scouts in Jackson and Marshall Counties. The Mountain Lake District is also home to the beautiful Camp Jackson in Scottsboro, AL. 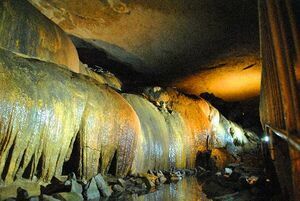 Cathedral Caverns State Park, located in Marshall County in Northeast Alabama is home to some of the largest underground cavern formations in the greater southeast. Camping, hiking and backcountry trails are also here. This page was last edited on 14 January 2018, at 18:10.